Free Shipping Included! 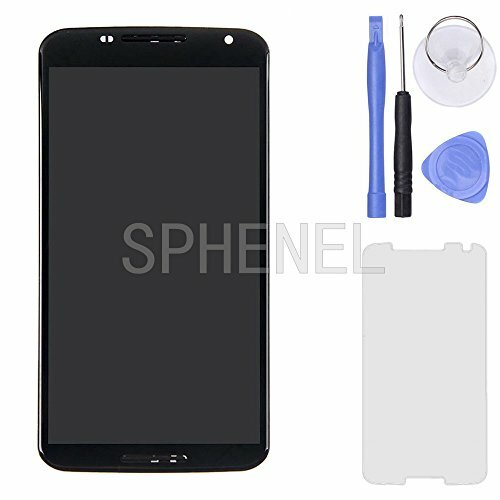 SPHENEL LCD Display And Digitizer Touch Screen Assembly With Screen Frame For Motorola Google Nexus 6 XT1100 XT1103 (With Frame) by SPHENEL at Got Busted Mobile. MPN: S-LDSADTSFFXT1100-B. Hurry! Limited time offer. Offer valid only while supplies last. It is used to replace the broken/damaged/non-working screen to give back the screen functionality to the phone. The screen is brand new replacement. It is used to replace the broken/damaged/non-working screen to give back the screen functionality to the phone. The screen is brand new replacement. It is worth to own it. The installation of the product should be done by a qualified person. We are not responsible for any damage caused during installation. If you have any questions about this product by SPHENEL, contact us by completing and submitting the form below. If you are looking for a specif part number, please include it with your message.